Skalar has recently and successfully installed its San++ nutrient analyzer aboard the Zaysan vessel. 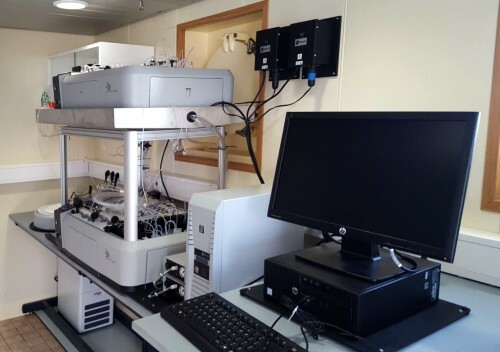 Skalar’s long-established partner, KazEcoProekt, now has two ships in operation with on-board laboratories both fully equipped with the San++ nutrient analyzers and autosamplers. 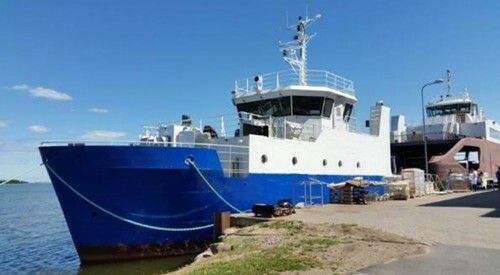 Following the total successful commissioning of their 2015 vessel, Akku, Skalar was delighted to be involved in establishing a second laboratory on the Zaysan. This second ship will certainly increase its already-considerable footprint in marine analysis. Both laboratories on board the Akku and Zaysan vessels offer analysis results on the day of sampling on the Kazakhstan-controlled areas of the Caspian Sea. This will lead to increased reliability, precision and quality of results and considerable commercial opportunities for KazEcoProekt within the international eco-monitoring of the Caspian Sea and its surrounding rivers and tributaries. The safety features offered, supplied and installed by Skalar ensure full operator-safety as well as provide the kind of economy of space required on a boat where space is a premium. Currently, seven parameters are analyzed directly in seawater, brackish and river water samples, totally removing the necessity for sample preservation. Traditionally, the samples would need to be stored on board which is quite a considerable weight and space burden on the ship. For more information about nutrient analysis in seawater with our San++ analyzer or other applications. Please feel free to contact Skalar. 网页清单 | 法规、政策和条款 | Copyright © 2019 by Skalar Analytical B.V. 版权所有.